Delhi-based venture capital firm Scale Ventures has invested an undisclosed amount in Let's Barter, an online platform to barter goods and services. 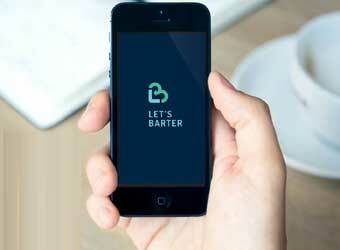 Let's Barter is a platform for customer-to-customer exchanges for used goods and barter of services. Its Facebook group has about 1,83,000 members. The platform was formed in October 2015 as a Facebook group and its app for Android and iOS was launched last month. Let's Barter, operated by Tausch Tradeface Pvt. Ltd, was founded by Pooja Bhayana and Sahil Dhingra. The co-founders said in a statement the company will use the funds to expand Let's Barter's reach across cities and building a strong team. Scale Ventures was floated earlier this year by IIM Calcutta batch mates Nilesh Rathi and Rahul Narvekar. Rathi is part of Rathi Group of companies while Narvekar is former CEO, IndianRoots, the ethnic apparel and accessories e-commerce venture floated by media firm NDTV Ltd.
Narvekar said that Let's Barter is scalable and that the venture has potential in India. "We feel the startup is niche but will connect with the youth of the nation as it follows the very unique module of barter," he said. Scale Ventures aims to raise Rs 100 crore ($15 million) in its maiden fund. Last month, it struck a rare secondary buyout deal in the Indian venture capital segment by agreeing to acquire the portfolio of Delhi-based Guerrilla Ventures. Scale Ventures is sector-agnostic and plans to invest in about 30 early-stage startups by the end of the year. The investment will be between Rs 30 lakh and Rs 3.5 crore. The venture firm will also launch an accelerator programme to focus on startups in smaller cities and towns.